Ready to grab the gold? You need a red sign look that will stop the competition in their tracks! The Speedo Endurance+ Women’s Sports Bikini in Red Gum & Black is a stoplight red sports bikini with classic jet black Speedo logos in the front and centre on top and at the hop on the bottom. With bold black accent straps, this vibrant suit will have you stopping the show every time you turn slip it on. We don’t need to tell you how amazing the Speedo brand is! Since they opened up shop way back in 1928 in Aussie’s Bondi Beach near Sydney, Speedo has become world's top-selling swimwear brand. 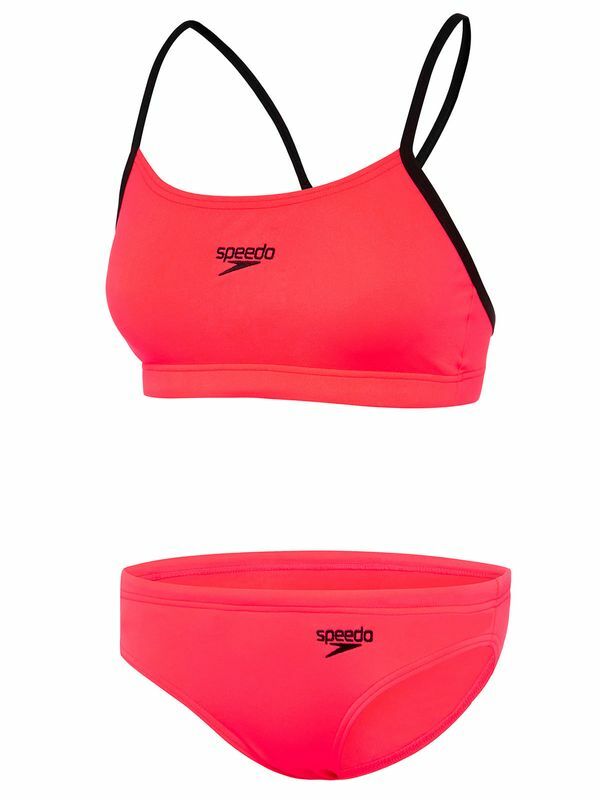 Endurance Red Gum Womens Sports Bikini Set manufactured by Speedo Swimwear the worlds leading swimwear brand. Speedo is passionate about life in and around the water, creating revolutionary new technologies, designs and innovations.